Chris Payne, owner of Heartland Motorsports Park in Topeka, Kan, said he will fight to keep his track in Topeka. We are told regardless of what transpires in the next couple of months in this fight, the NHRA national event scheduled for June will go on as planned. Read more about RUMOR MILL - TOPEKA NHRA WILL GO ON AS PLANNED? It's a good time to be an NHRA Comp Eliminator racer if you call Division 4 your home. A source close to the action tells us that these racers will have a chance to pocket $150,000 and more in additional money. This ought to help the car counts in those NHRA Division 4 races. Read more about RUMOR MILL - BIG PAYDAY COMING FOR NHRA DIV 4 COMP RACERS? RUMOR MILL - REGIONAL STARTERS FOR NHRA NATIONALS? 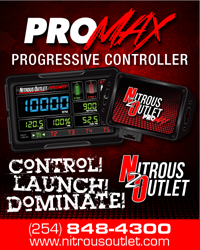 A number of sources have indicated the NHRA let official national event starter Mike Gittings go earlier this week. Gittings, who took over the role in May 2016 following the Mark Lyle's death, was only the fourth national event starter in the history of the sanctioning body, The role will reportedly be filled by starters who operate on a regional and divisional basis. Read more about RUMOR MILL - REGIONAL STARTERS FOR NHRA NATIONALS? Word has it that a top name Pro Stock crew chief will soon announce his intentions to join a multi-time championship winning team. Our sources tell us he won't have to travel too far in-state for the new gig. Read more about RUMOR MILL - A NEW ERA FOR HOUSTON RACEWAY PARK? RUMOR MILL - WILL THERE BE A SPONSOR TRANSFER SOON? There's a lot of hushed-tones rumors floating around the nitro ranks and one of those apparently has to do with a major sponsor in the Funny Car ranks. We keep hearing banter which suggests this major sponsor in Funny Car will instead be on the side of a Top Fuel dragster. We expect the word to be handed down in the next two weeks, just ahead of the PRO Winter Warm-up later this month in Phoenix, Az. Read more about RUMOR MILL - WILL THERE BE A SPONSOR TRANSFER SOON? RUMOR MILL - MOUNTAIN MOTOR CARS AT 4 EVENTS IN 2019? During last season's NHRA U.S. Nationals, the NHRA invited eight of the nations top Mountain Motor Pro Stock cars to come to the series most prestigious event to perform an exhibition. The intention of the display was in advance of the NHRA's technical department seeking common ground for the large displacement engines to be integrated into the 500-inch Pro Stock division. Read more about RUMOR MILL - MOUNTAIN MOTOR CARS AT 4 EVENTS IN 2019?